Howdy cowgirl! 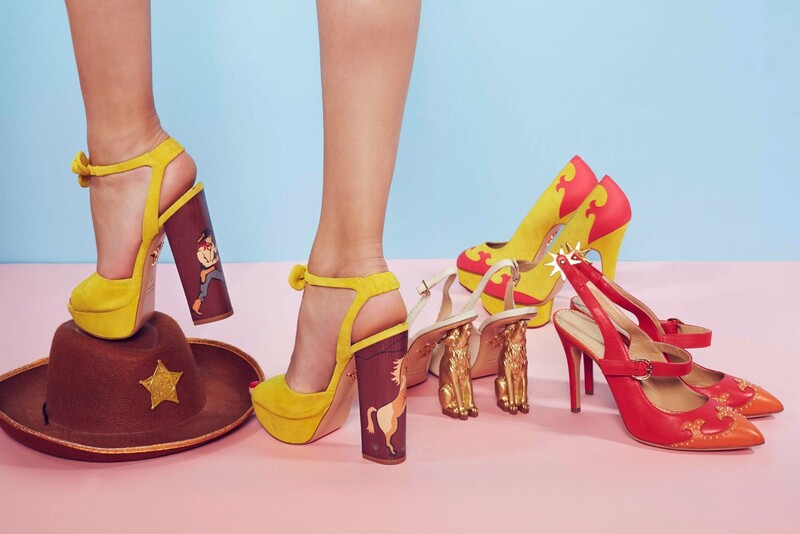 Charlotte Olympia’s latest collection is digging the Far West vibes, from fiery red stilettos adorned with classic spears to chunky horse-painted heels and even sling-back sandals with a gold coyote heel. Add a cowboy hat and you’re ready to head out to the Great Plains in style. Giddy up! Photo by Olivia da Costa, styling by Mathilde Toulot.